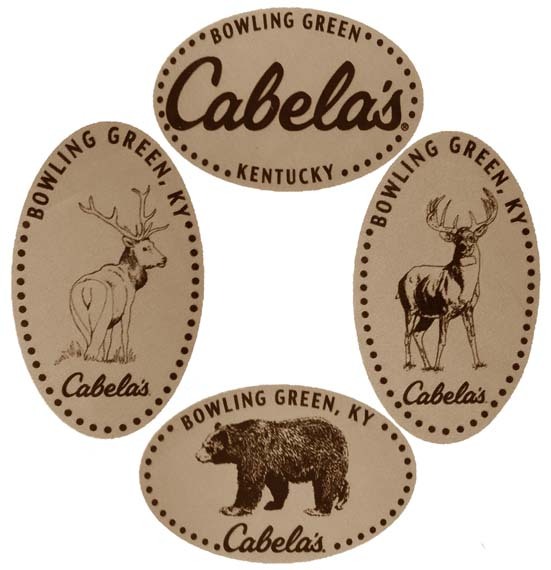 Cabela s is a specialty retailer of camping, fishing, hunting, shooting, and outdoor recreation equipment. The store is over 42,000 sq ft in size, and features taxidermied wildlife, a large aquarium stocked with North American sportfish, and indoor archery test area, as well as a restaurant and gun library. The penny machine is located on the middle right-side of the store, behind the logo shirts.